ABCS won the contract for graphics, manifestation and signage on the Novae relocation project. The three-floor project was designed from scratch by ABCS and our design team, drawing inspiration from the Novae "Looking Forward" brand. Novae writes both insurance and reinsurance in the property, casualty and marine, aviation and political risk markets. The Group employs approximately 300 people between its offices in London, Zurich and Bermuda. 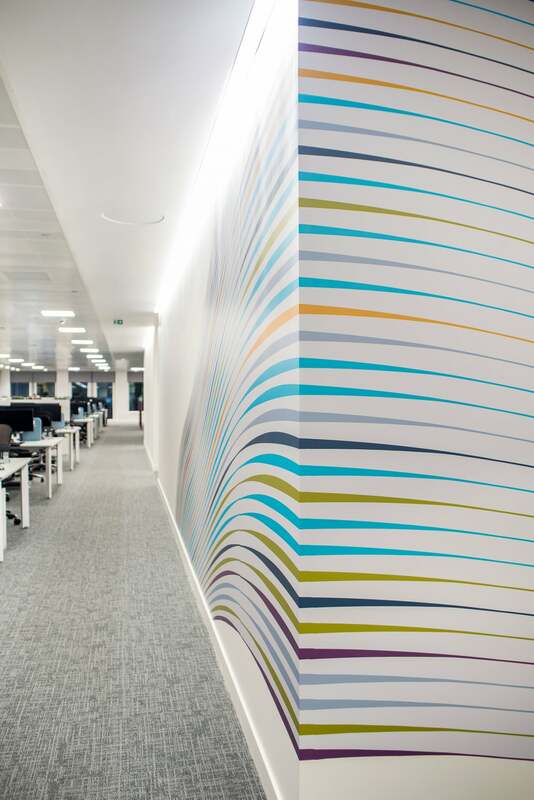 The project used many products from wall vinyls, to room signs, recycling signage and poster frames. We even assisted with the design of the boardroom water bottles! 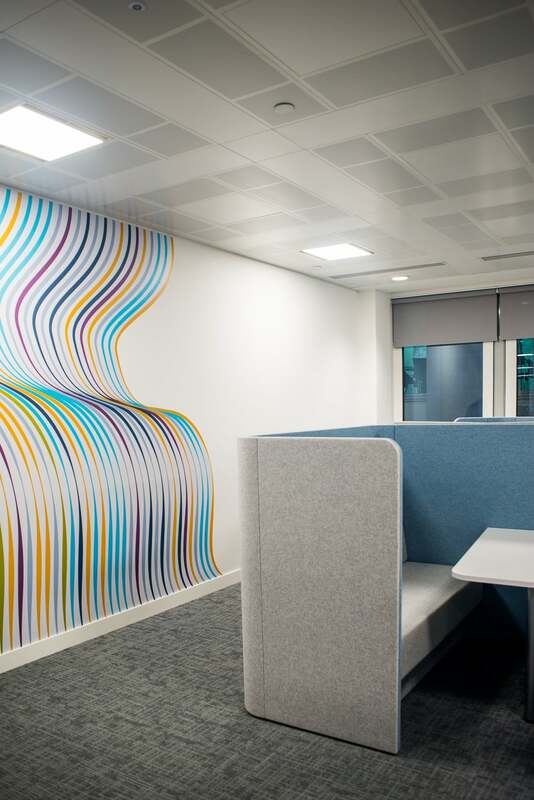 But the show-stopper is the full height optically clear graphics, which combined brand colours with various opacities of white and grey to create the exact level of privacy required. The attention to detail on this project was breath-taking and a true privilege to be a part of.